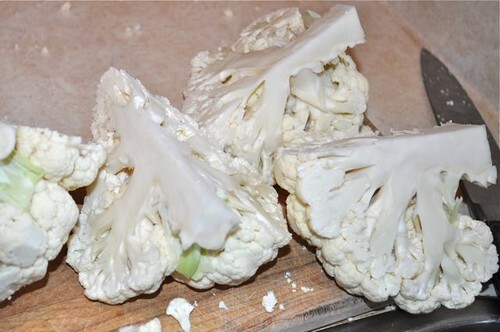 Who knew you can turn a head of cauliflower into something on par with a decadent, divine, buttery cream sauce straight out of Julia Child’s kitchen – sans fat and calories? Well, we all do now! 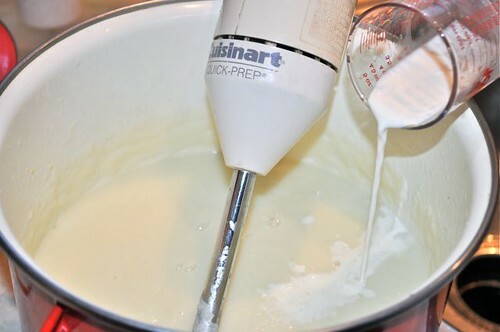 Gone are the days of loading up the pan first with butter, then flour, then heavy cream, then full-fat cheese, then a little more butter, then take the whole thing and flood it over pasta, with more full-fat cheese – and then, I would imagine, a trip to the cardiologist. 1. 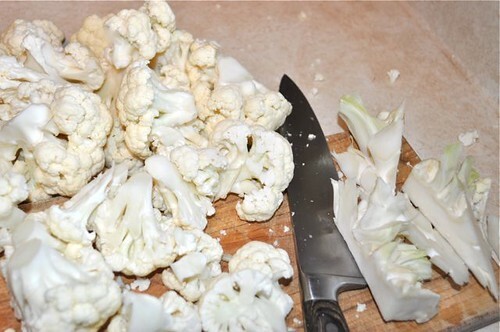 Quarter a head of cauliflower. 2. Remove the innermost core as it tends to be tough. 3. 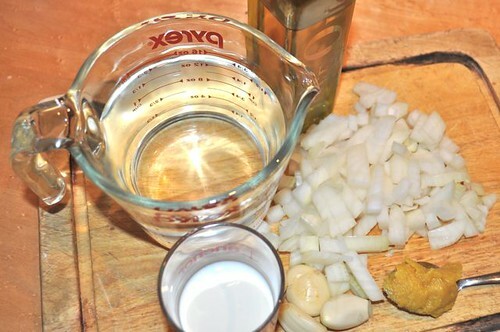 Continue breaking it down into small pieces – the smaller the pieces, the faster they cook. 4. Collect the rest of the players. 5. 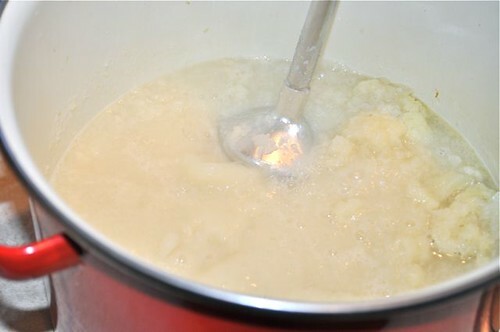 First, in a large pot put the cauliflower pieces, diced onion, minced garlic, chicken bouillon & enough water to kinda, almost cover the contents of the pot. 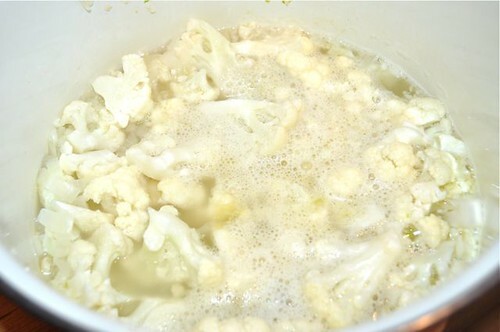 Bring to a boil & simmer until the cauliflower is nice & soft. 6. 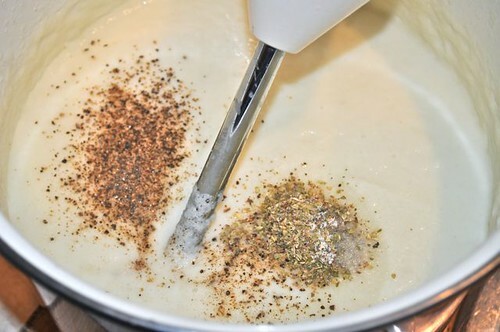 When the cauliflower is nice & tender, get your immersion blender and start blending. 7. 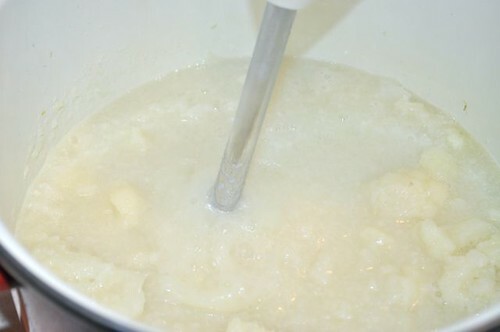 And continue blending until it’s completely smooth. 9. 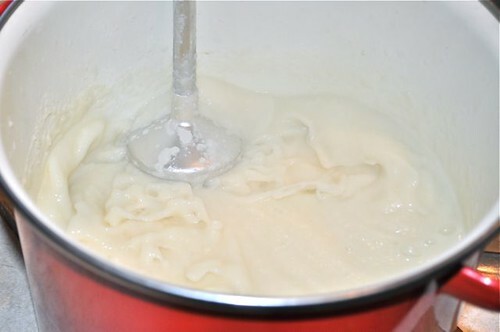 Whisk in a scant amount of cream. 10. Next, the flavourings go in – and it can be anything you like. 11. 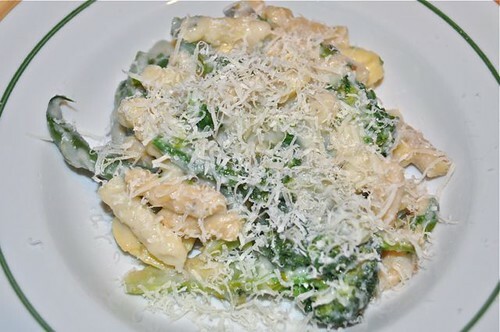 Get the parmesan cheese grated and ready to go. 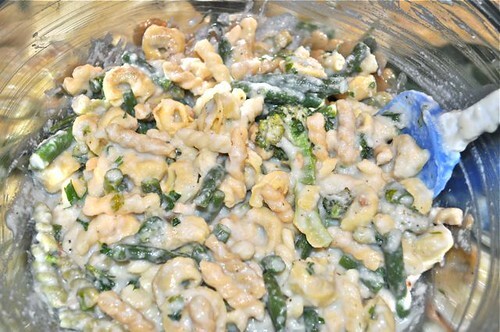 I’m adding cheese as I’m going for an alfredo idea. But if you stop here without the cheese, you have yourself some rockin’ cream sauce ready for anything. 12. 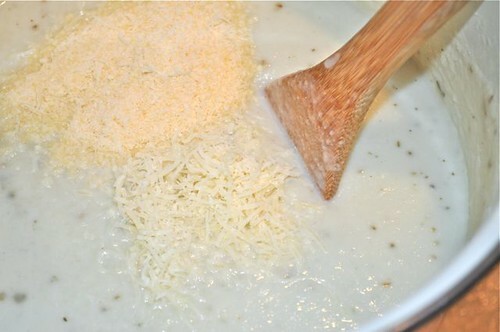 Stir in the cheese and mix until it melts and you’re done. 13. 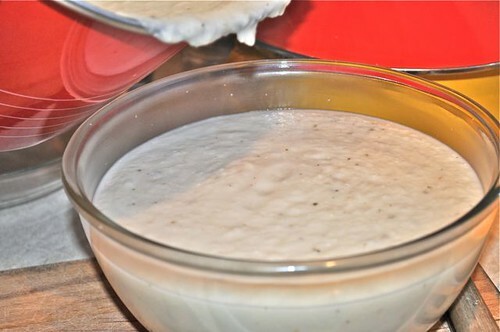 Pour your cauliflower cream sauce into a bowl. 14. Stand back and admire your latest creation! And contemplate how you’d like to serve it. 15. I just threw this together and so can you. 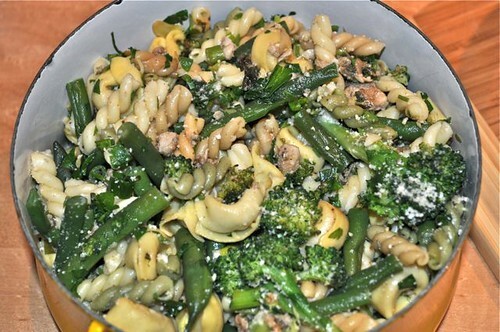 A little cooked pasta, a little stir-fried vegetables and guess what I’m thinking for the sauce? 17. 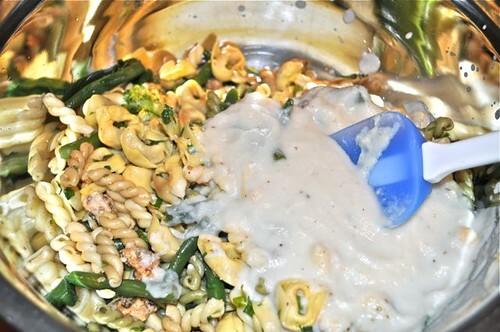 That’s right, use enough sauce to generously cover the pasta and vegetable mixture. 19. 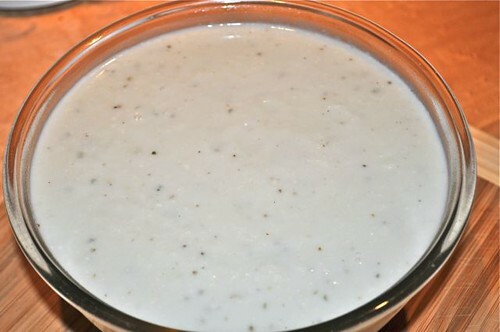 Presto – and there you have it – cauliflower cream sauce that won’t break the bank, the scales or your waistband. 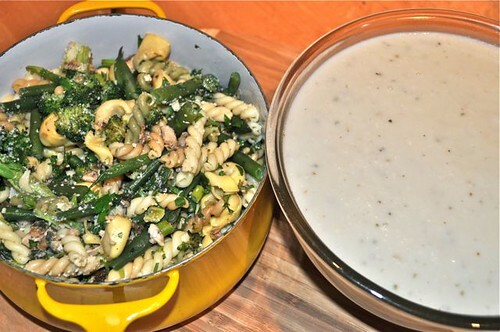 You can put this sauce over just plain pasta or make it as chockful as you like. Personally, I’ve always been a chockful kinda gal – so here’s to filling up your chock? 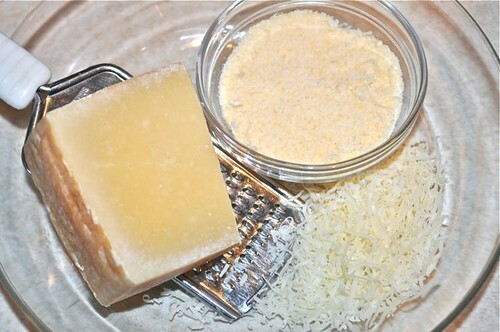 Omit the parmesan cheese and flavour it up in any way you like. Start with a couple of teaspoons, taste and adjust to your liking. OH EM GEE!!!! THIS RECIPE R-O-C-K-S!!! This is FANTASTIC! I’ve made it twice now; the first time I made it to put in a baked mac & cheese, so I added a little parmesan, a small container of cottage cheese, and lots & lots of shredded old cheddar. The mac & cheese was delicious (even the 2 kids finished their plates) and I had so much sauce left over (the recipe makes 8-10 cups), I thinned some out & ate it as soup, then used the rest to make really, REALLY good scalloped potatoes. I had to make it again ’cause I realized I hadn’t tried it without the cheese and I wanted to leave an educated reply to this post. Without the cheese, it was also great – I made scalloped potatoes again (froze a bunch in muffin tins for quick dinners) and half a dozen mini chicken pot pies. Everyone loves it!!! I froze the last cup or so of the plain sauce to try another of your suggestions, probably pizza sauce. Oh my goodness!! This seriously sounds fantastic, I have got to try this! 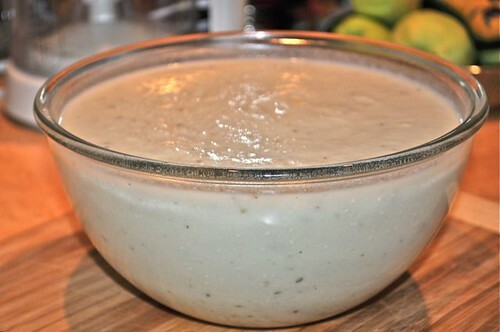 I never make creamy sauces because of the obvious (too rich), this is perfect!! Thank you so much for sharing! Ps I love my immersion blender! 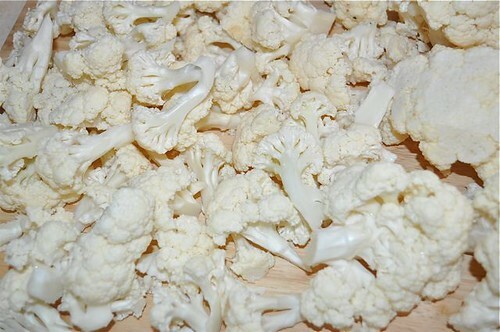 Just made the cauliflower cream sauce for a chicken lasagne and wondered if you’ve whipped up a batch yet! And I must look for quinoa spaghetti – I’ve also been on the whole-grain train forever so I’m always wanting to find new options – just finished up my whole-grain spelt spaghetti so I’ll be on the lookout/hunt for quinoa!